Simple ingredients is all this dish requires. You might have everything on hand right now to make this! If you need a dish to take to a new mom or someone who just had surgery – this is a good one. 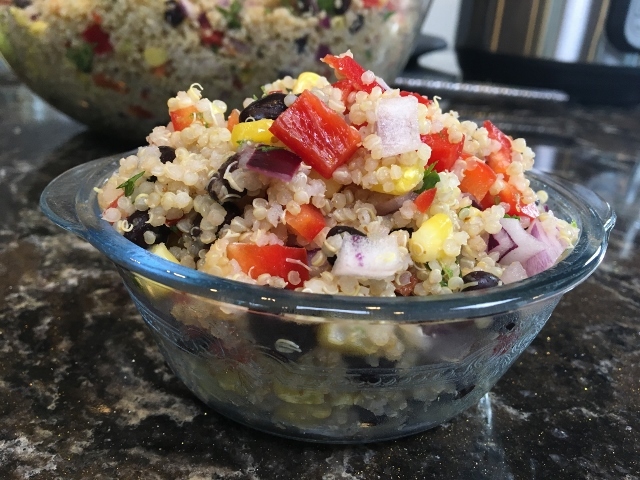 I like to take a cup or more of the Zesty Quinoa Bean Salad and add it to one of my daily Big Beautiful Chopped Salads for lunch. It keeps me full for hours and hours. It is so pretty too – I like pretty food. My little granddaughter Sweetpea likes to pick the corn out of my salad. I’m very excited to share that we are working on a new look for Nutmeg Notebook! Our son is working diligently on this project. Of course there are always unforeseen obstacles to get past when you engage in these types of projects. This week he is working on our recipe navigation system. 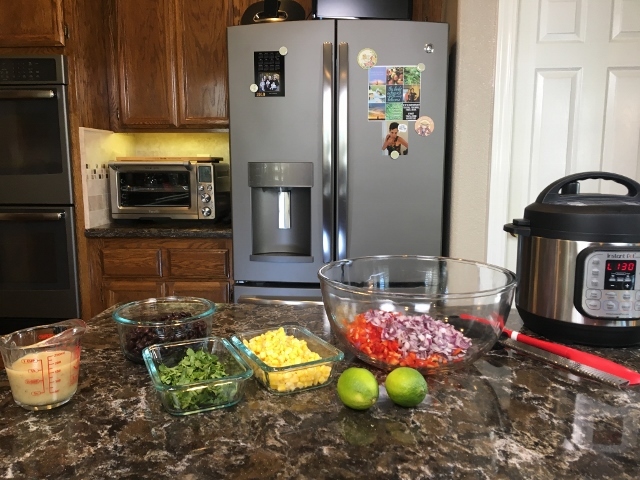 Many of you have told me how much you appreciate how organized the recipes are and we want to continue with a detailed format for finding the recipes you want to see. 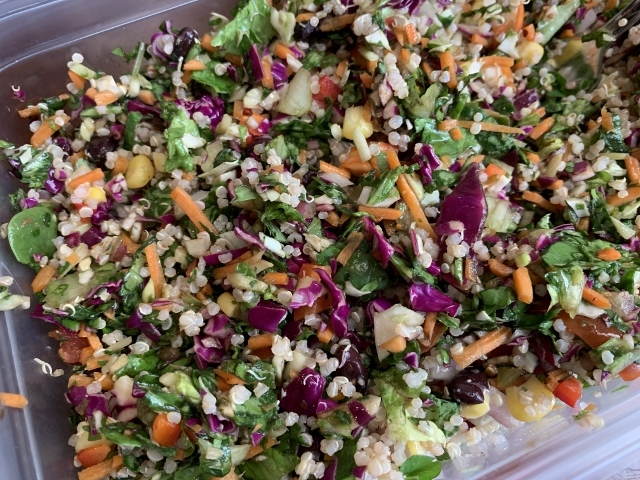 Also at this time I am ready to let go of all the SAD – Standard American Diet recipes that have been on the blog since I started it long before I went plant based. 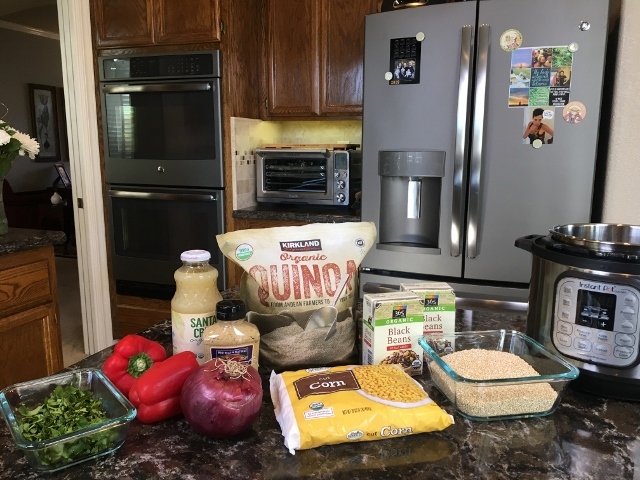 Back in 2013 when I adopted a whole food plant based lifestyle I decided to keep the recipes and blog posts. For one they are a part of my journey and second I was hoping that some people who came here for those recipes might see how I am eating now and maybe they would try some of the plant based recipes too. I don’t think that has really happened and I no longer feel good about having those recipes on my blog. They don’t represent how I believe we should all be eating. If you do still come here for those recipes you only have a week or two to copy them as they will be gone forever and I won’t be providing them to anyone after they have been removed. 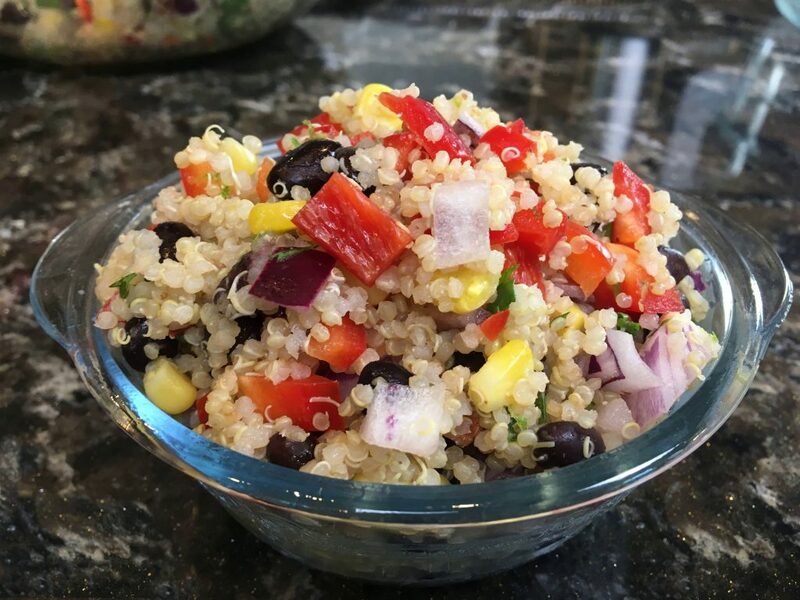 Of course all of the plant based recipes will remain on the blog and we will be continuing to add more healthy recipes here and our Nutmeg Notebook YouTube videos throughout the year! Please subscribe to my YouTube channel. Follow me on the Nutmeg Notebook Facbook page and Nutmeg Notebook Instagram. When you purchase items through our affiliate links you help support our work here without any extra cost to you. Thank you for your support. We want to keep bringing you quality healthy related information, videos and recipes throughout the year. 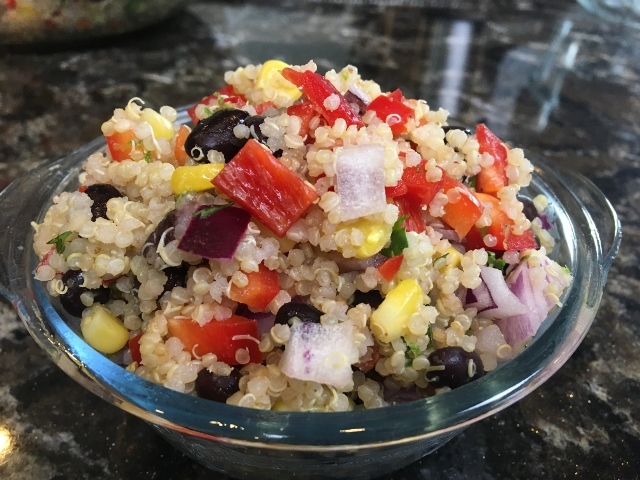 Just finished making the Zesty Quinoa Bean Salad – very tasty – makes me think spring! How long will it keep? I am so glad you like it! I have kept it for 5 days in the fridge no problem. Happy Cooking!